Elegance, beauty and grace. Three words that best describe Roxy. 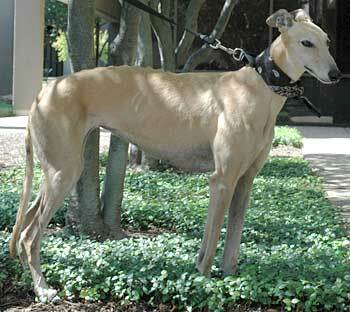 Roxy is a lovely light fawn female, born on December 24, 1998. Not much is known about Roxy's past other than she lived in a home for six years before being given up due to family life changes. A true lady, Roxy hasn't complained once about her recent upheaval, and has settled in quite peacefully in her foster home. Sweet and serene, she is a bona-fide GALT cheerleader. 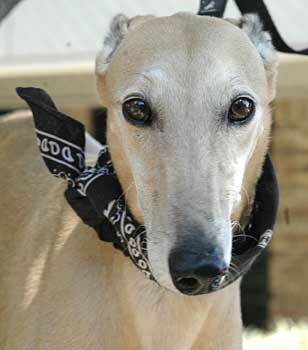 Roxy is currently living in a foster home with other Greyhounds, small dogs and cats. She seems to have done well as a single pet as well as in a home with many animals.